Who dares wins Lt. General Angus Campbell? In party politics, what undeservedly wins tends to be the opposite of standing by your mates. 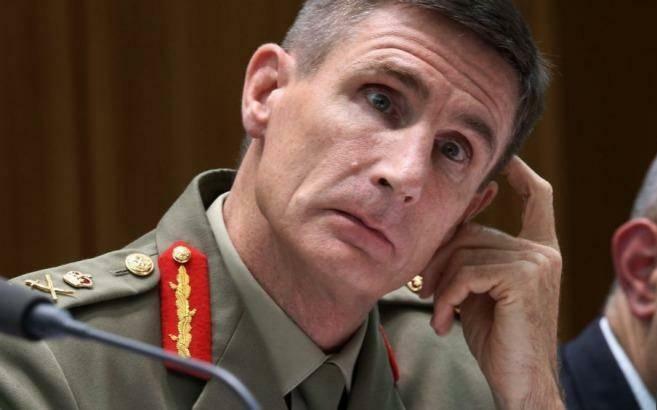 Daring not to honourably stand eye-eye with Third World Indonesian intimidation, your very public subservience to a corrupt bully enemy is a disgrace to the Australian Army uniform and to its esteemed SAS. 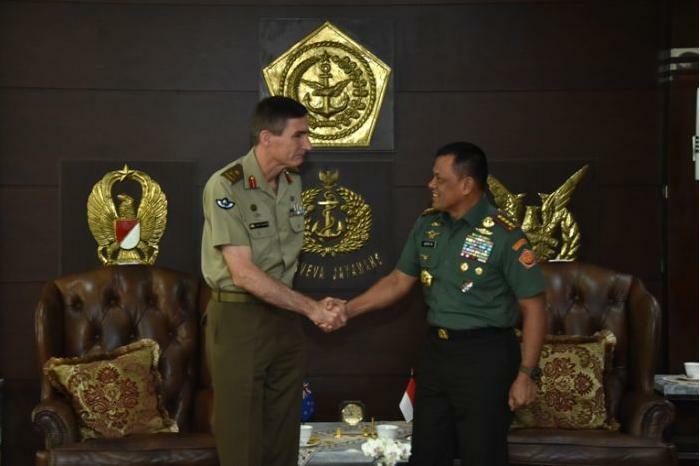 Instead, Australians witness yet another weak-kneed Chief of Army go PC when they watch on TV Lt. Gen. Angus Campbell apologising and grovelling to Indonesia’ bully Army General Gatot Nurmantyo. And all over some petty ‘in-barracks banter’ about hollow virtues. Campbell, you’ve switched from solemn duty to party politics game playing! What a disgraceful abandonment of our troops and of barracks confidence! And for what? For your now pollied pension, promised over a single malt? He who grovels loses all respect, you cross-eyed galoot. Incoming US President Trump’s personal and very public undertaking to America’s military, in person to its Green Berets, its frontline police, its border force and its sheriffs across the nation is that “he has their back.” That is leadership. The US 7th Marines, 2nd Battalion have a better motto and attitude than Sir David Stirling’s ‘Who Dares Wins‘. How about “Ready for All, Yielding to None”. It’s probably why Australia remains so overly dependent upon America all the time. In Australia, our political aristocracy luxuriate in insular Canberra, and send dispatches to the front just like from the Victorian days of foreign Lord Kitchener to our Harry “Breaker” Harbord Morant to prosecute Britain’s Boer War back in 1901. Some Kopassus bully general dummy spits over some Aussie Army training material banter on some Australian Army base training wall, in Australia? And where’s Gatot? In Indonesia. The delicate over-medalled flower needs to grow a set. This is the apparent 18C “offending” material, just to rub it into galoot Gatot. The playful artwork poster on the right is the ‘Cocky Pancagila’. 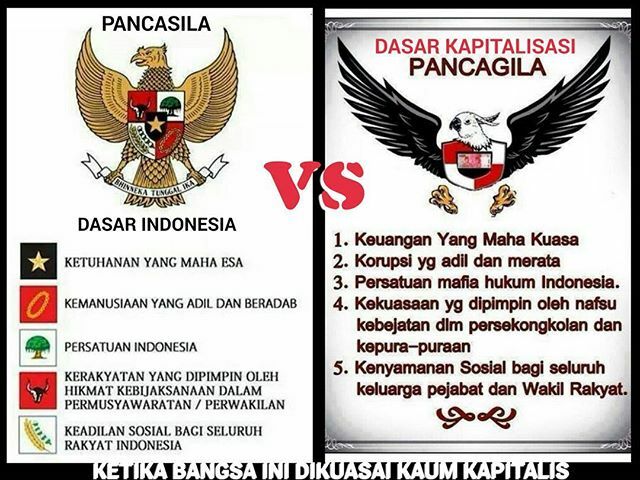 It’s a in-barracks team spoof of Indonesia’s coat of arms and five principles ‘Garuda Pancasila’ on the left. This SAS material is now public because of PC Defence Munster, Major Payne. The plagiarised Aussie mock up provides rather insightful inconvenient truisms about Indonesia’s regime, clearly sensitive to those in Indonesia with perhaps a guilt complex – Indonesia’s corrupt government and its thuggish military. Well in Aussie-speak, if the shoe fits Gatot? Some version of it was on some internal wall within our Army-restricted Special Air Service Regiment’s Campbell Barracks in Swanbourne, Perth. This is a base provided for and restricted to only Australia’s elite SAS. Not your average work expectations, these lads can do what they bloody want behind closed doors in their own barracks, in Australia. Except when PC-correct Liberals and Labor out of Canberra order the SAS to ridiculously train a known foreign enemy force, Indonesia’s Kopassus thug invaders of East Timor and West Papua. 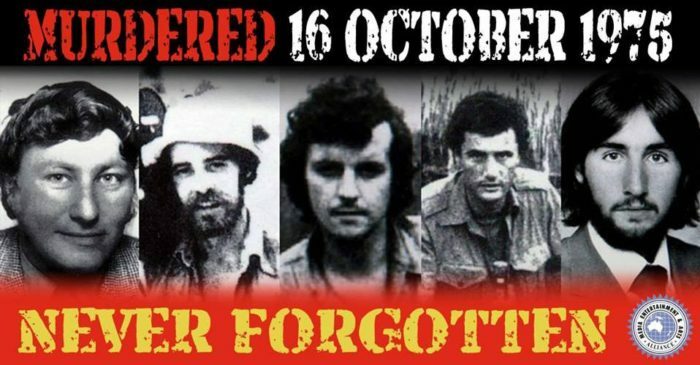 The very same who murdered Australian journalists in October 1975 in East Timor – the Balibo Five. The very same who invaded East Timor again in 1999 and again in 2006. 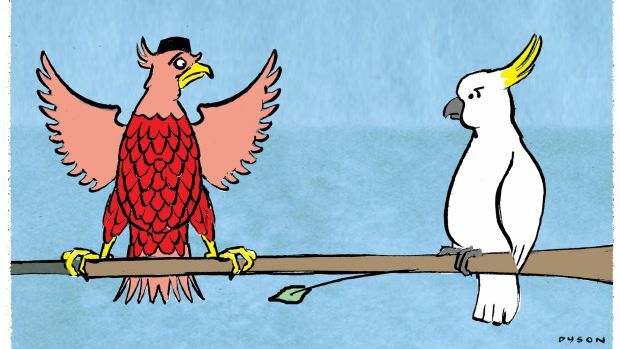 The bird image on Indonesia’s national emblem is a mythical Hindu eagle, ‘the Garuda’, which doesn’t exist, never existed – was just a legendary figment in scripture. 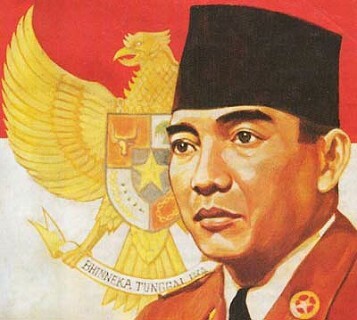 Social justice – for all of the people of Indonesia. This lot sounds all very noble and idealistic, but it is hollow because it was constructed for propaganda reasons by the decolonizing regime of authoritarian dictator President Sukarno in 1945. ← Three Liberal Parties: Crisis of the Liberal Party or crisis in the State?